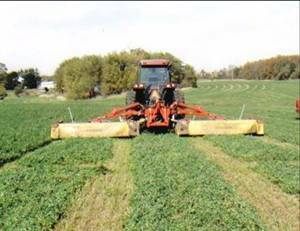 The 1400 acres of farmland owned and rented by Soaring Eagle Dairy provides for the forage needs and some of the grain needs of the herd. 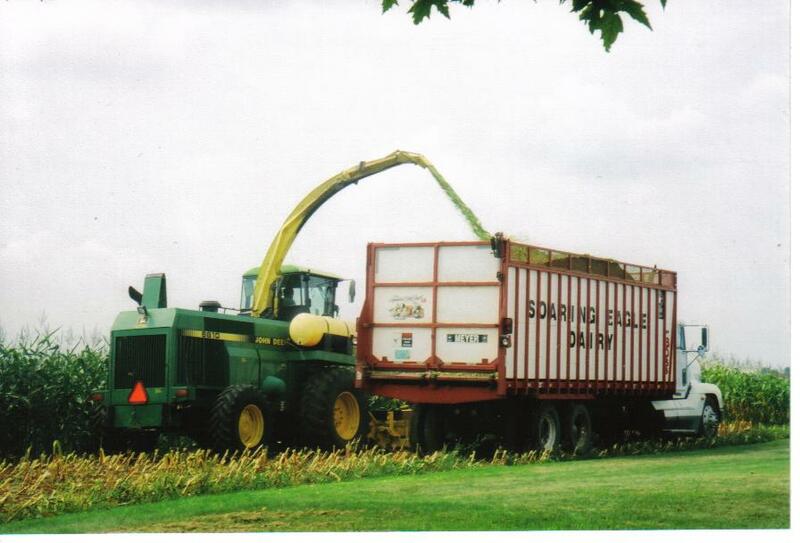 Corn, alfalfa, wheat and soybeans are grown. 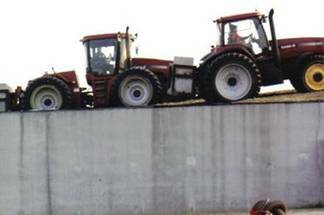 Each spring the ground is prepared for planting. Soon after all the seeds are in the ground, the first of three or four alfalfa cuttings is taken. 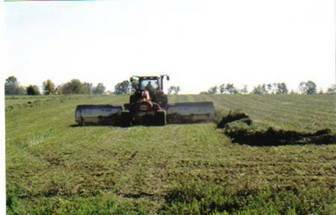 Hay is cut with a wide-swath mower, then merged into larger piles for efficiency and chopped and packed into bunker silos. 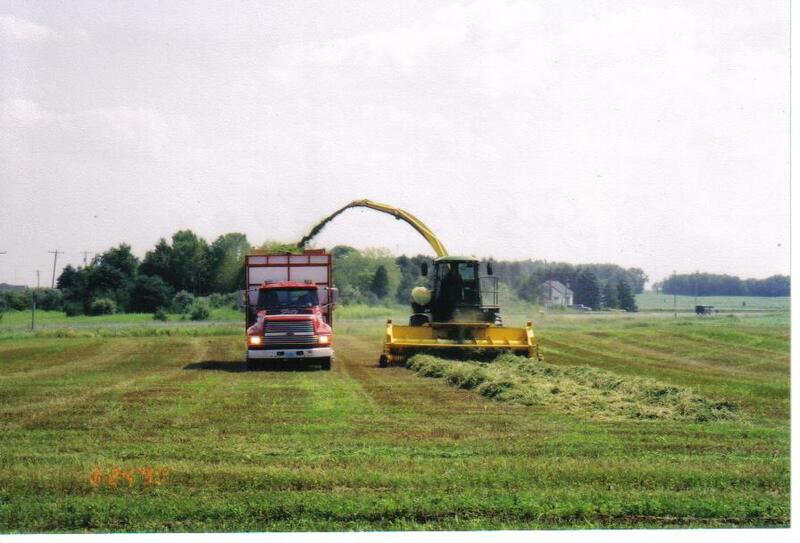 Then in fall, just after the final cutting of alfalfa, the harvest of corn silage begins. This is also packed into bunker silos. This practice allows fermentation to occur and preserves the feed to last for a year or more.